Free Live Chat With A Fellow Veteran Now. Looking to connect with other Vets? Are you transitioning from military to civilian life? 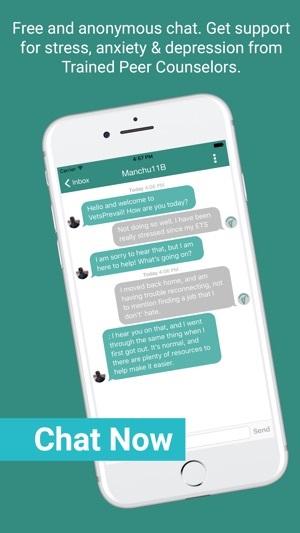 Chat now anonymously with experienced Vets who have been through the challenges related to reintegrating into the civilian world. 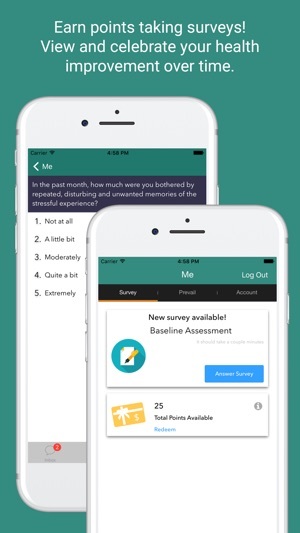 Download VetsPrevail now and connect for free to fellow Vets who have overcome difficulties of their own and are ready to listen. Learn strategies that will build resilience and help you overcome the obstacles we all face in our transition. 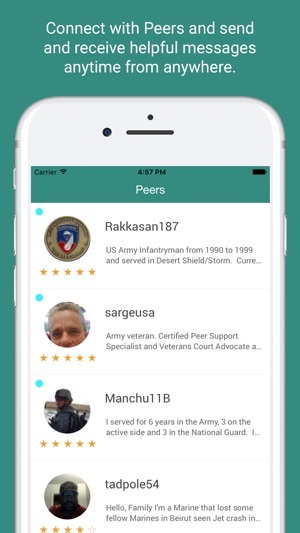 No matter where you are, no matter what time of day, or how long you've been separated from the service, you can connect anonymously with fellow Vets with VetsPrevail. 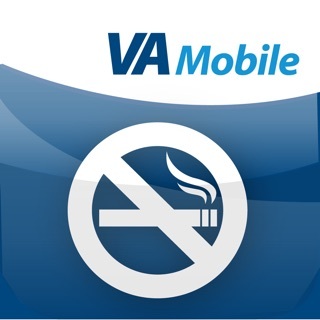 Our app is built by Veterans, for Veterans and will always be free for you to use. 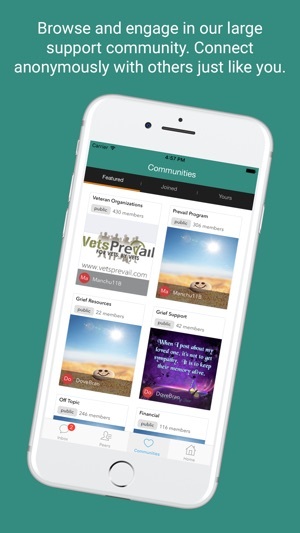 Join the tens of thousands of Vets who have utilized VetsPrevail. 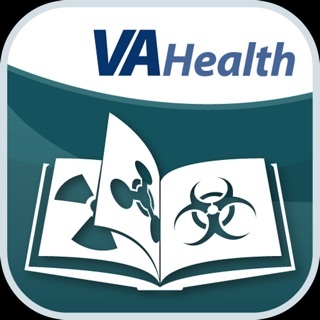 Your fellow Vets are standing by, just download the app and get connected now. Seems to have a great theory that wether we all realize or not in becoming a vet most of what we learn (like what’s next, what we get from service, where to go about...., who helps with..., and where everyone meets because for some reason it just feels better when there are more of us around) comes only when we come in contact with other veterans. Not a variety of selections when it comes to rewards but it’s a helpful tool and the fact that it comes with a reward while youre bettering yourself is amazing. Very thankful. Also it seems like a very good app in whatever way it’s constructed I live in the country so the service isn’t the greatest but it’s never crashed or had a glitch movie pause her and there that could only be my service. Did a great job personalizing it to every time it speaks on gender it knows my gender and how to classify me I think even though some people might see this as a small detail it seemed very big to me! Congrats your changing life’s and you know what kind of life that might be. I think it’s worth it!!! 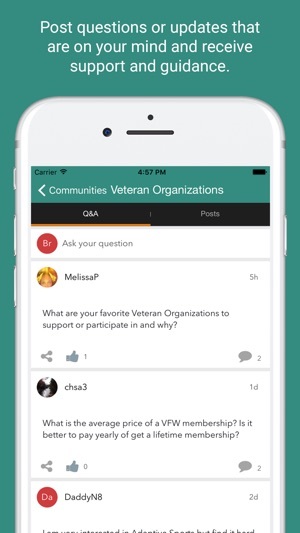 App for Vets, by Vets! It gives you an opportunity to think about and ask the questions we don’t always have the answers too right when we leave service. Give the application a shot! I’m enjoying it thus far!! I don't know why, but I find this app very useful and I have actually learned a lot. It is very well built and I love how it tailors itself to my individual needs.